Crisis Lunation periods occurs when, at the time that the Moon is New or Full, the Moon is physically very close to the earth. This closeness-lunation parallel will amplify our emotional reactions, bringing matters to a crisis point. This Crisis Moon period usually begins about one week before the New/Full Moon and lasts several days afterward. I find that you are only affected by one of the Crisis Moon periods, usually one that falls close to a natal planet. When a crisis arises, my advice is always to "stay calm, relax and make no impulsive decisions for at least a week." The most critical are eclipses. The most potent occurred on April 15, 1995, because it occurred at the time of a Lunar Eclipse. Of course, the event it portended was the Oklahoma City bombing as the Eclipse fell on the ASC/DESC axis over that city. The WTC/Pentagon attack occurred within a wide orb of a Crisis Lunation. The US invaded Iraq on a Crisis Full Moon in March 2003. I remember one example - a father called about his daughter who had run away from home about 4 days before the CFM. I told him what was occurring and that he should wait for about a week and she would likely return home....and she did. After the effects of the CFM were over, she became rational again. Hormones and a CFM are not a good mix! During the year, there are generally 4 Crisis New Moons and 4 Crisis Full Moons. There is usually only ONE of these CFMs that hits you -- generally, not all of them ... and you cannot always tell which one it is going to be. When it hits, you go crazy and your emotions are magnified. But, when the Moon begins to move away from the earth, we calm down. I am a Virgo so a rational explanation is very satisfying for me. If I know that I am feeling this way because of some astrological/astronomical configuration, it makes it seem OK and I feel much better. Yet, there are times when events occur that are not transient. During a Crises Lunation in 2013, I had an automobile accident and, at another Crises Lunation in 2015, after getting out of jail this man with whom I had the accident tried to sue me for total disability, hoping that I would not show up in New Jersey for the deposition. In January 2019, at the Full Moon Lunar Eclipse Crises Lunation, I received a message that my dad had passed away while I was in Switzerland. APRIL 5: The Moon is in the sign of Aries and, after 8pm ET, the Moon trines Jupiter in Sagittarius and ends with a parallel to the Sun. This is a short period but it favors inspired interactions, communications and all consciousness expanding activities. The parallel to the Sun favors recognition and support from authority. 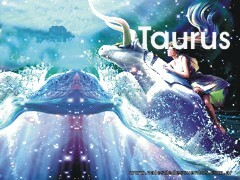 APRIL 6-7: The Moon is in the sign of Taurus and the Moon makes all favorable aspects. Even the conjunction with Uranus at 1degree Taurus at 12:08pm EDT on the 6th will bring a sudden new beginning that comes as a bit of a surprise. The Moon goes on to sextile Venus-Neptune-Mercury and trine Saturn-Pluto, Pluto being the ending aspect. When initiating at this time, all will run smoothly and securely. The ending trine to Pluto brings group assistance. You can gain the advantage when something is missing. While there are always complications with Pluto, you will fix and straighten out any problems. 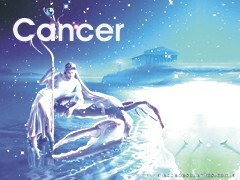 APRIL 12: The Moon is in the sign of Cancer and there is a trine to Mercury at 25 degrees Pisces from 5pm to 7:30pm EDT. After some difficulties and complications with one in authority (occurring before 5pm), an agreement will be finalized. It is excellent for finishing up a mental project. APRIL 13-14: The Moon is in the sign of Leo and, after 7:30am on the 13th, until 9:30pm on the 14th, the Moon will make all favorable aspects. Especially trining the Sun trine Jupiter, it forms a Grand Fire Trine. This is a most propitious aspect that bestows motivation, inspiration, enthusiasm and the ability to influence the thinking of others. Any motivational action is favored. Any activity that inspires others and elevates consciousness is favored as well. This is an excellent time to initiate whereby you will be supported by one in authority. APRIL 20: The Moon is in the sign of Scorpio but it makes 2 refranations, meaning 2 planets (the Sun and Venus) change signs and move into less fortunate signs. To avoid having something be dropped for something not very good, wait until after 12:30pm EDT. During this period, the Moon favors Neptune-Saturn and Pluto and it is a time to follow your intuition. The ending sextile to Pluto brings group assistance. You can gain the advantage when something is missing. While there are always complications with Pluto, you will fix and straighten out any problems. APRIL 27-very early 28: The Moon is in the sign of Aquarius and, after 10am until 5:30am EDT on the 28th, it only makes favorable aspects, ending with a sextile to Jupiter Retrograde. While matters may run smoothly, the outcome may not be as successful as you expect. For example, if making an investment, you can make money but not as much as you anticipated. NOTE TO READER: These dates are based upon electional techniques. All of the Moon sign dates apply to everyone. Do not simply read your own Moon sign – read all of the signs for what I say about the specific dates. The Moon sign information will NOT describe the day, only the outcome if you initiate something important on that day. 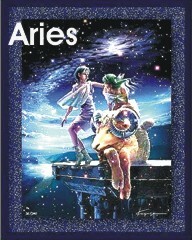 * ARIES (March 19-April 19): There will be 3 important people in your life this month. One is a successful woman and she can help you with finances. The second is a fiery and impulsive man who jumps into projects headstrong, for good or ill. Lastly, there is a caring man or woman who offers support. This person can make you feel more secure. * TAURUS (April 20-May 20): There are two significant women in your life this month. One may exhibit issues of jealousy or envy but the other is stable and financially secure. In the end, you must exercise your own Will and sense of destiny. Do not be influenced by others. You are in charge – take charge and fulfill your destiny. * GEMINI (May 21-June 20): There is an enterprising woman in your life now – a woman who may like cats. Yet, you feel indecisive – you cannot see your way to make important choices or decisions. Relationships are good and they can prove helpful. When you cannot move forward, move around – connect with others, family and important friendships. The Moon is in the sign of Gemini on April 10 and, with so many planets in Mutable signs, the afflictions portend instability, deception, disagreement and dashed expectations. Do not initiate now as all endeavors will prove costly – even wasting your time on people who give little in return. * CANCER (June 21-July 22): People who love animals will prove supportive this month. Yet, this is a month to pursue spiritual endeavors, especially in learning about yourself and your inner nature. REMEMBER: There is no sin in knowing little or nothing about a subject – but it is a crime if that subject is YOU! Cancer, know thyself. By month’s end, you will find yourself leaving “troubled waters” behind you, finding safe passage from stress. 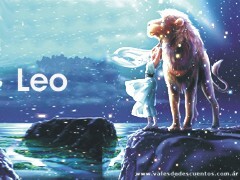 * LEO (July 23-August 22): This is your lucky month, even if difficult events occur. First, just like Cancer, this is a month to do some spiritual soul-searching. Any spiritual studies that help you to know your self are favored. Astrological factors will be extremely important so do look at your chart or the lunations this month as they apply to your chart. This is also a month whereby a wish will be granted – MAKE THAT WISH NOW! * VIRGO (August 23-September 22): There will be a major transformation in your life this month. Letting go may be difficult but the Sun will soon shine upon you and there is a new beginning afoot. Treat yourself well and “royally.” There is a man around you who seems aloof and disengaged. He is having trouble with his emotions and there is nothing that you can do but wait. 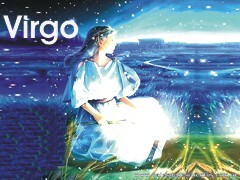 The Moon is in the sign of Virgo on April 15-16 but, with so many planets in Mutable signs, there are many afflictions. Mutable signs can be unstable and put you on a roller coaster ride. 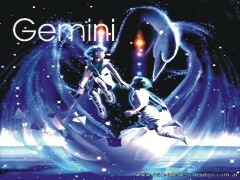 Do not initiate at this time as there will be misunderstandings from Neptune and big expenses from Jupiter and Venus. Not a good time to initiate!!! * LIBRA (September 23-October 22): There are some facts that are unknown to you. You cannot make any important decisions until there is clarity. You will find yourself working very hard to complete an important project but, in the end, you will feel victorious. You will receive the recognition that you deserve! The Moon is in the sign of Libra on April 17 through early 19 but the aspects all lead to a Crises Full Moon. Do not initiate now!!!! 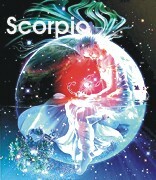 * SCORPIO (October 23-November 21): Holistic health issues are favored this month. There can also be someone around you who needs some gentle TLC (tender loving care) and they will respond well if offered. Important professional decisions will be made this month. Balance and fairness will prevail. Finances look good but allow your resources to grow. * SAGITTARIUS (November 22-December 21): You will work hard to complete an important project but you will successfully complete it. This work will take a lot out of you and you may not want to work this hard again. But, this is an excellent month to take off time to enjoy yourself in family situations. This may not be your own family but with a generous family. 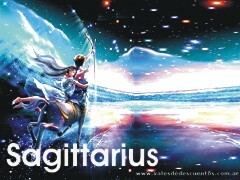 The Moon is in the sign of Sagittarius on April 22 but this is not a good time to initiate. There is anger issues, over-estimating and over-reacting. If things get too messy, the Moon ends with a parallel to Saturn and a practical, organized person can intervene. * CAPRICORN (December 22-January 19): As the month commences, there will be a lack of clarity regarding some issue of importance in your life. There are facts that are currently unknown to you. Do not do or say something in haste or your actions will come back to haunt you. Later in the month, take a risk, a leap of faith, and try something new and different. You are protected so do not worry. 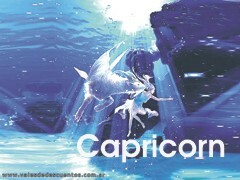 The Moon is in the sign of Capricorn on April 24 and early on the 25th. While matters can start out smoothly on the 23rd (when the Moon actually enters Capricorn), there are squares to Mercury and Venus followed by Pluto changing direction, whereby something gets dropped. There can be a shift on the 25th abd a group helps you straighten out any mess. But, it will be complicated if you commence during this period. 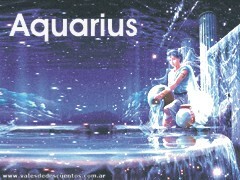 * AQUARIUS (January 20-February 17): You will be dealing with a lot of people this month. A male will have strong opinions but he is equipped to fight for you, if necessary. There is a woman of wealth and substance who can be very beneficial to you. The group may be family connections, often with good resources that can benefit you. * PISCES (February 18-March 19): There may be some cause for sadness at the beginning of the month but this is your lucky month – your stars tell you to make a wish and it will be granted. MAKE THAT WISH NOW! However, with any gains, hold onto what you have. This is not a month to be spending. The Moon is in Pisces on April 1-2 but, while there are many good aspects on these days, the last aspect is a square to Jupiter. A lack of fairness and some favoritism may interfere with success. Do not spend extravagantly. What you plan may prove to be disappointing, not meeting your expectations. Endeavors will prove costly. Do not spend now or waste your time on people who are a role-playing waste of time. 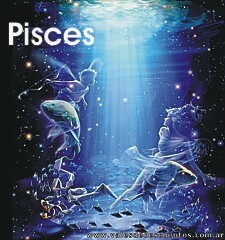 The Moon is in the sign of Pisces on April 28-30 and the same interpretation applies. During this period, there is a tendency to over-react when something appears unjust or unfair. Curb anger and don’t waste your time.